George and The Pear Tree. It is hard to find a spot large enough to get a good photo. 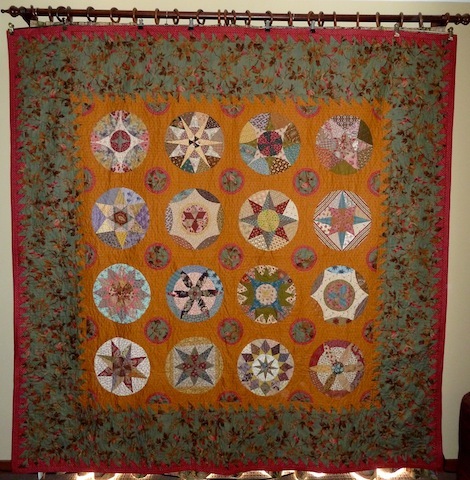 The border does go all the way around the quilt. I got a bit excited and decided to put up the next blocks for George. Two more blocks from George. 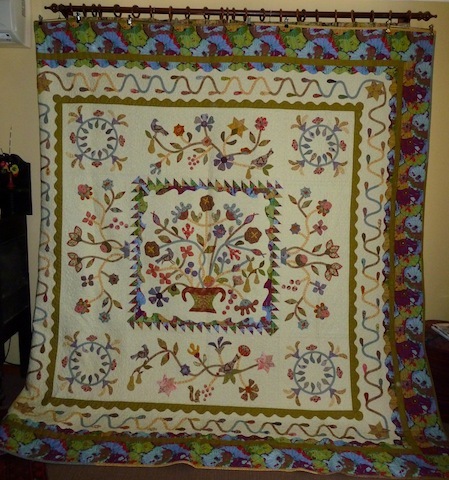 I have finished the quilting on my quilt The Pear Tree. Except for the last border it is all free-hand quilting and done on a domestic machine. 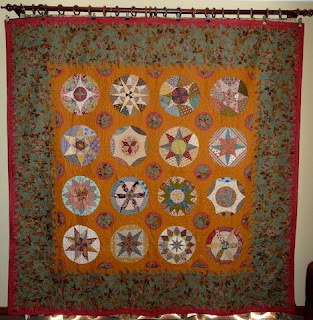 It is a large quilt that sits nicely on a king bed.